Hi Leokhoa and who can help me. I'm getting this trouble when accessing my sites virtual hosts with nginx server. But when I'm using Apache Server. It's working just fine. 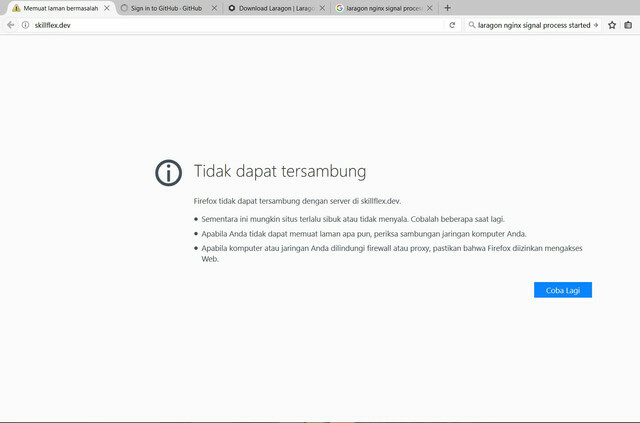 @pramadiputra : How about localhost when you run Nginx? How about changing Nginx's port to 8888?